Coming from O'Shaughnessy's estate vineyard on Mt. Veeder, this 2014 is a classic example of what this mountain AVA offers. "Notes of classic blueberry, blackberry and acacia flower nose that comes from the high elevations of this wild and backward mountain area in southern Napa Valley. 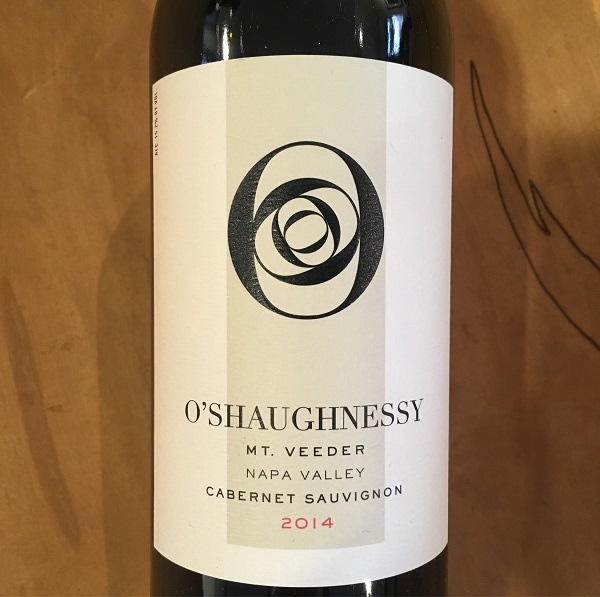 Dense bluish/purple to the rim, with loads of blueberries on the palate, big-time glycerin, sweet tannin, low acidity and a long, layered finish, this is terrific wine to drink now and over the next 20-25 years." - Wine Advocate.